Small Christmas Star Book — Santa Babies! 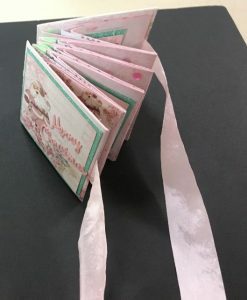 Using Santa Baby papers from Prima®, you’ll make a small starbook that works as an ornament as well as a table display. 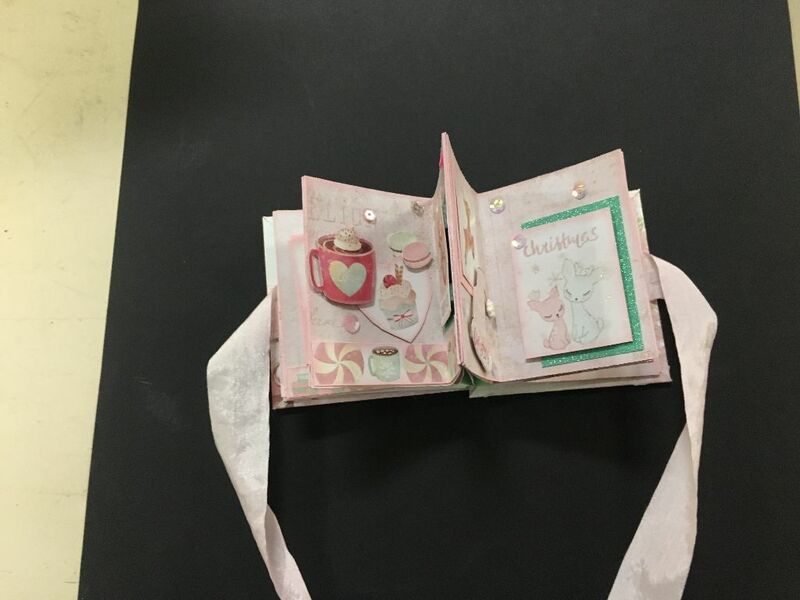 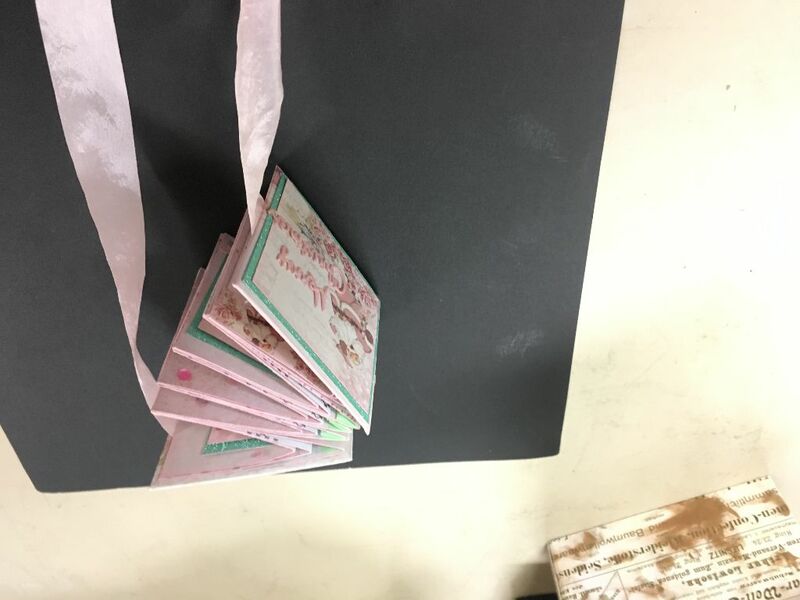 Learn how to create these wonderful little books from one of Runaway’s favorite teachers! 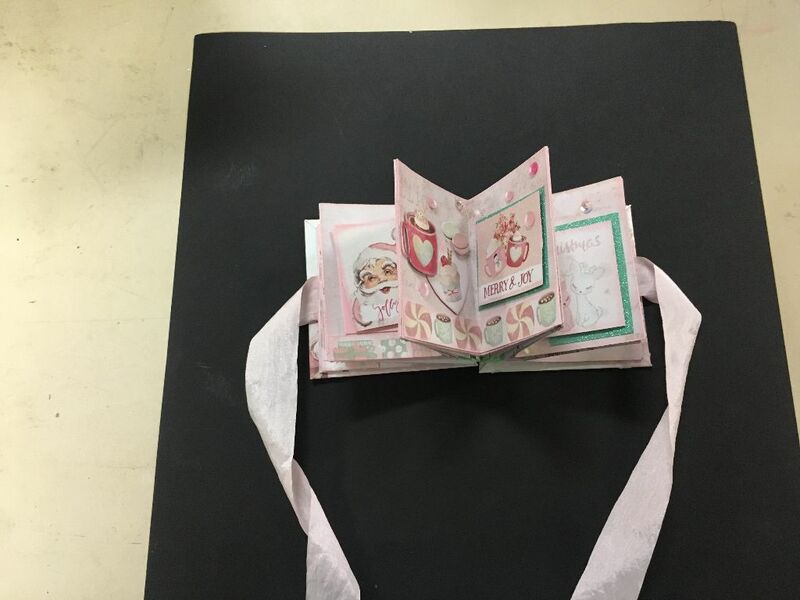 Pretty pink Santa paper with a pretty green tone — these pictures really don’t do the book justice!